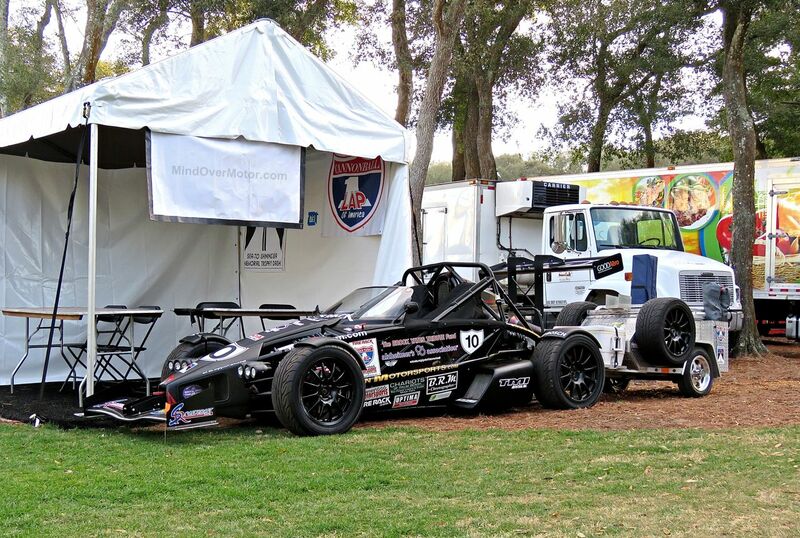 The Ariel Atom is hopelessly impractical, ah, but there is a solution! Now you can tow your own trunk, and carry all kinds of do-dads everywhere you go. Things for the home, things for the track, hell, you could probably even tailgate with this. Now you have one less excuse not to drive an Atom every day! If I Were a Dog, I’d Want to Ride in an Ariel Atom! When you’re a dog, you just want all of the wind, all over you, all the time! The Ariel Atom doesn’t even have a windshield, so it may well be the ultimate K9 cruiser. Get ready to smile! Naturally when attending a exotic car meet, you expect to capture some wonderful sights and sounds as people head out onto the open road in their fantastic speed machines. The folks at Bucks County Exotics definitely put on a good show. If you like the sounds of V8s, V10s and V12s, then turn up your speakers and enjoy the music from these wonderful supercars! Also, check out our photo gallery from the event.